I am taking a break from birthday party posts, to share this yummy recipe with you! I made these over the weekend for my family, and they turned out so well! Delicious! In a large mixing bowl, beat butter and peanut butter with an electric mixer on medium to high-speed for about 30 seconds. Add the sugar, brown sugar, baking soda, and baking powder. Beat until combined, scraping sides of bowl occasionally. Beat in the egg and vanilla until combined. Beat in as much of the flour as you can with the mixer. Stir in any remaining flour. Add milk (from 1/2 Tablespoon to 1 Tablespoon just enough to make the dough moist and creamy). Add chocolate chips and mix till just incorporated. If necessary, cover and chill dough about 1 hour or until easy to handle. Preheat oven to 375 degrees F. Drop cookies by scooping them out of the bowl with a spoon dropping them in small balls onto your greased cookie sheets. Bake for 7 to 9 minutes or until bottoms are light brown. Enjoy! I used a large-sized cookie scoop instead of a spoon. I wanted to make sure the cookies were all the same size so that they would all turn out the same! I used skim milk (what we had! ), and only needed 1/2 tablespoon to make the dough creamy enough. I doubled this recipe. Seriously something to consider when you make these if you want any left to share! I ended up with about 50 cookies after doubling it. I refrigerated the dough overnight as this is always the answer to my flat-cookie problem. 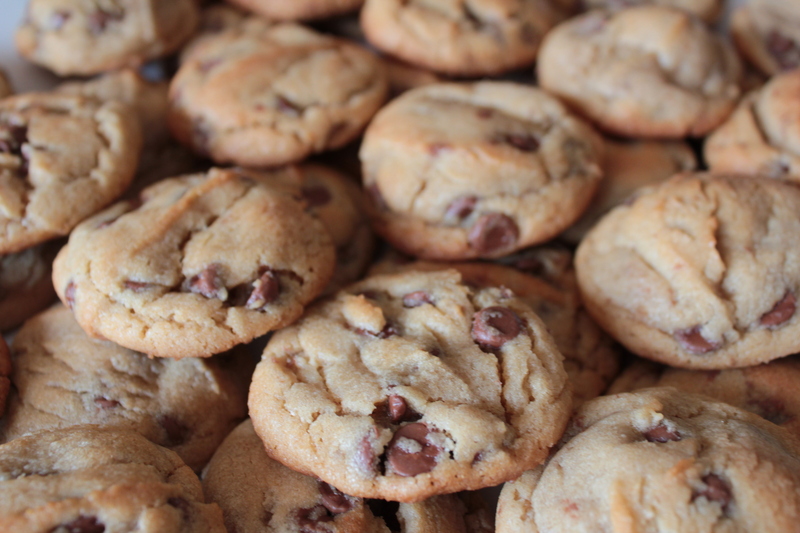 Refrigerating the dough for that long gave them height and depth, instead of creating cookies that were way too flat. I used milk chocolate chips as opposed to semi-sweet chocolate chips as I prefer the taste of those! You can not go wrong with these cookies. 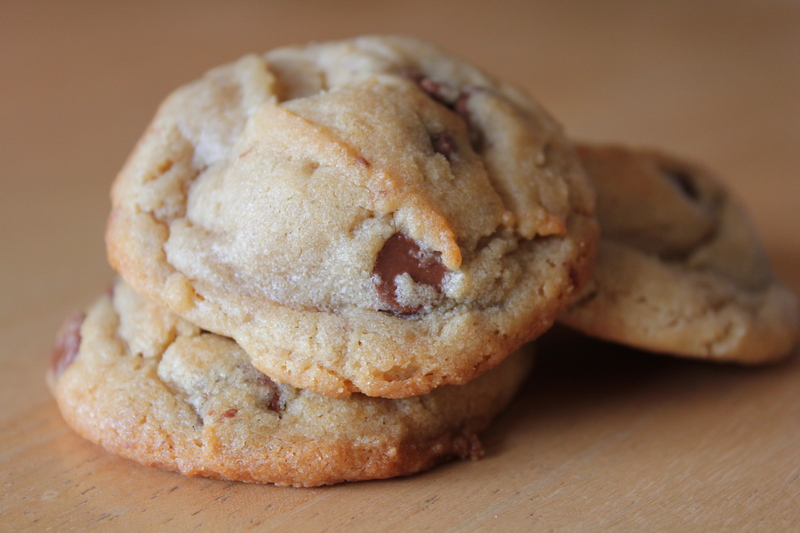 Peanut Butter + Chocolate = soft, chewy, and yummy cookies! Just make sure you have a glass of milk ready! Picture perfect and beyond delicious!